The tribute was organized by a Philippines-based gaming collective. Processing the death of a friend is never easy. But it can help to grieve where you spent time together—even if that happens to be the battlegrounds of Overwatch. When the team at games website Too Much Gaming lost their beloved colleague Willem Den Toom, they took to Blizzard Entertainment’s Overwatch to express their pain. 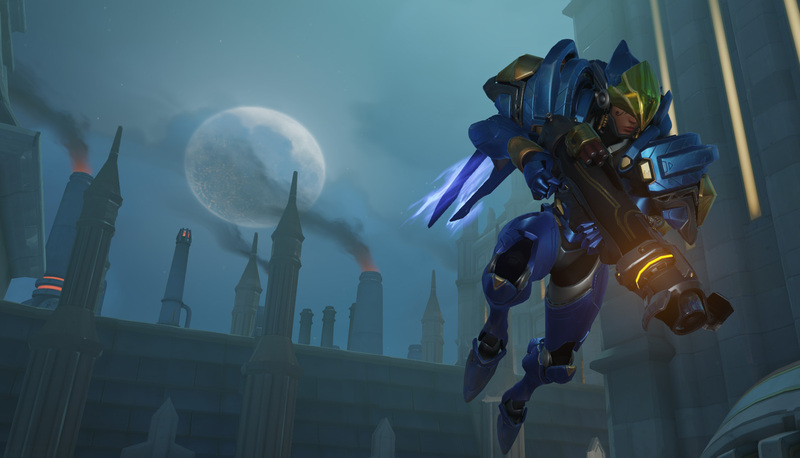 Using Toom’s favorite Overwatch heroes—Pharah, Reinhardt, Symmetra, Zarya, and Lúcio—and Hanzo, the group of friends coordinated rocket launcher and fire strike sendoffs toward Overwatch map Eichenwalde’s moon as a gun salute for their friend. Toom suffered a heart attack and died at 35 on Jan. 16, Too Much Gaming editor Carlos Herdandez told Mic. “He was loved by many and his loss pretty much struck waves in various communities in the gaming community here in the Philippines,” Hernandez said. “Overwatch was the one game that we play together regularly after a long day. It’s one of his favorite games.” Honoring Toom in Overwatch was an obvious choice for the group. The video ends with each player sending off Hanzo’s dragonstrike ultimate, unleashing a continuous stream of swirling dragons toward the moon.